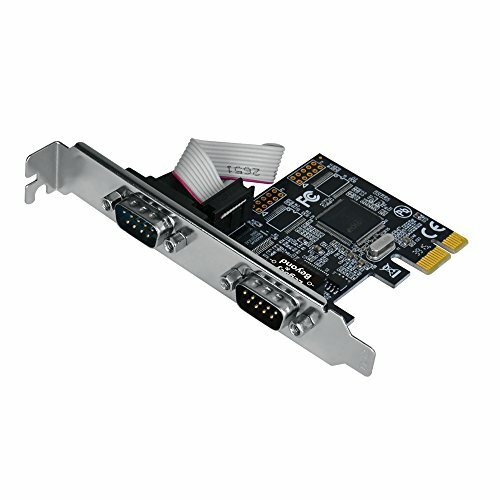 SIIG’s Dual-Serial Port / RS-232 PCIe Card is designed to add two 9-pin RS-232 serial ports to your PCI Express enabled desktop computer. This dual port serial PCIe adapter card features 256-byte FIFO buffer to support fast data transferring to ensure optimal performance in multitasking environment. This is a high performance adapter card to add two RS-232 serial ports for connecting additional serial-based devices such as a POS system, industrial testing and control device, security system, logistic management equipment and more. Perfect solution to connect with POS system, industrial testing and control device, security system, logistic management equipment, etc.